The Game is an American rapper and actor with an estimated net worth of $25 million. He is most known for being a rapper in the West Coast hip-hop game and being one of Dr. Dre’s biggest proteges. Jayceon Terrell Taylor was born on November 29, 1979 in Los Angeles, California. Game had a very rough childhood growing up in Compton. Both his mother and father were members of the Crip gang and Game often saw his parents doing drugs or preparing to engage in violence. At age 7, Game was placed in foster care but displayed intelligence often helping his others with their homework. He tried to focus on athletics, but ended up returning to life on the streets. This ultimately lead to him being shot five times. The severity of his wounds induced a three day coma. While in the hospital Taylor began to study hip hop, and eventually started a record label with his drug-dealer brother Big Fase. In 2002, Game released a mixtape that was good enough to land him a deal with Get Low Recordz. His mixtape ended up in the hands of some big names like Diddy at Bad Boy Records, but it was Dr. Dre who signed Game to Aftermath Records in 2003. That same year, Dre and Interscope decided to have Game work with G-Unit and 50 Cent. Game made his first mainstream appearance in the music video “In Da Club” by 50 Cent. 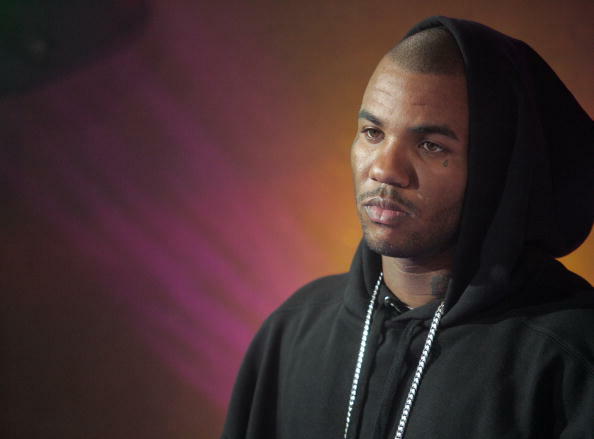 In 2004, Game released his debut album The Documentary. The record was a dramatic success with the hit singles ‘Hate it or Love it’ and ‘How We Do’. The album debuted at number one on the Billboard 200. Altogether, Game sold more than 5 million records worldwide. Unfortunately, Game entered into feuds with G-Unit, 50 Cent, and many other hip-hop artists that alienated him from some of those who helped him early on in his career. He ended up leaving Aftermath and signing with Geffen Records a label under Universal Music Group. Game wanted to prove he could be a successful artist without Dr. Dre, but his next four records came nowhere near the sales of The Documentary. The Game has some minor business ventures that never really panned out. He purchased a large share of the Inglewood Cobras in the American Basketball Association, but the team folded. He has partnered with 310 Motoring to create his own shoe line and has promoted his 60 Days of Fitness challenge. In 2012, Game started his own rap label The Firm, that is yet to make serious money. Outside of Game’s music, he has done a small amount of acting, nothing that would contribute to his net worth. He has essentially built his net worth on one incredible record and collaborations with other big name hip-hop artists. Game’s beef with other rappers has limited his ability to earn money, yet he still has a net worth of $25 million. The next album Game releases is going to be pivotal for his net worth going forward. It’ll be interesting to see if Game can grow that number..